I really like Venom800TT's work. Really amazing. I like the Kestrel and his Phoenix design. I'm not exactly clear on the finer points of copyright law. Can a person use another person's designs as an inspiration for their own work (i.e. not copying it, just using it as an inspiration)? 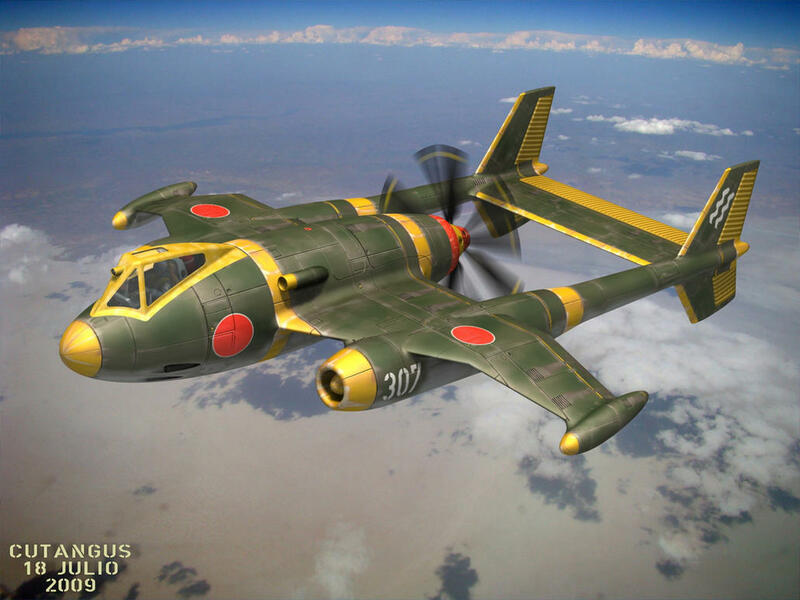 The RB-7A Phoenix has some characteristics that would go well with my older VFX-WHIF concept. That being said, I'd like to remind everybody in a manner reminiscent of the SNL bit on Julian Assange, that no matter how I die: It was murder (even if there was a suicide note or a video of me peacefully dying in my sleep); should I be framed for a criminal offense or disappear, you know to blame. I guess the copyright issue is one of degrees. How much 'influence' was there, for instance? I think, unless there's an obvious connection, the issue of copyright would be fairly hard to prove. I mean the Macross designs are swing-wings with very F-14 design traits and even markings, but there's never been an issue to my knowledge of copyright infringement there. IIRC, Shoji Kawamori has always been very open about his love of the F-14, and the fact that his Valkyrie designs are very much inspired by it. If you're going to use someone's design as inspiration or reference for your own work, I'd say the least you should do is give credit, and probably contact them to let them know what you're doing. I don't see any reason why someone would object, unless you stood to profit from it. Okay, because I was thinking of using some of the characteristics from the RB-7A (intake configuration, some of the wing-configuration) and Bagera3005's J-30 stealth chinese fighter design (wing-design which was similar to the RB-7A but probably more realistic). There would be numerous other differences -- virtually everything else. The cockpit would be more like the F/A-18B and F/A-18D, I haven't really thought about the nose much, LERX's, Trailing Edge Root Extensions off the back of the wing to mount the verticals and the stabilators with an overall size of 67.5 feet and a wingspan of around 48 feet. 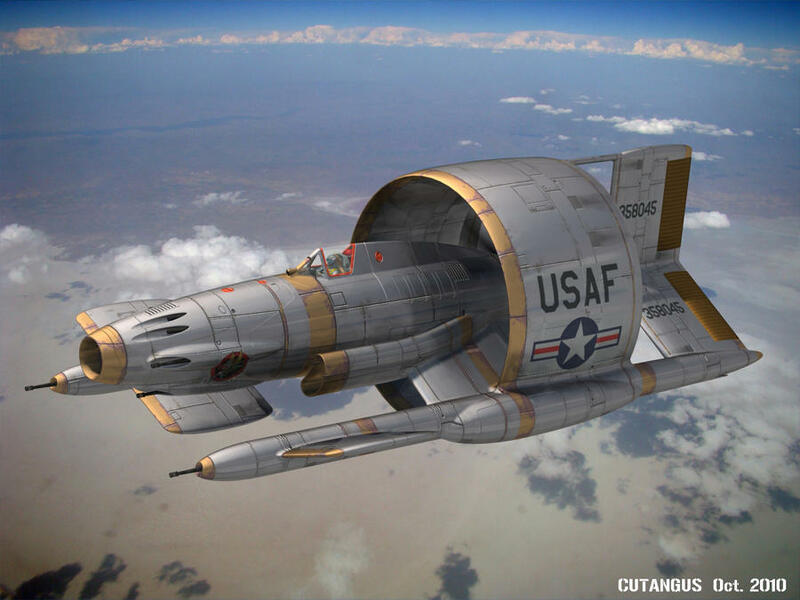 The idea would be basically for the design to be a McDonnell Douglas design (and the wing-designs on either concept do look like they bear an influence from the F-101 Voodoo actually) instead of Grumman. I don't know if Grumman patented the palleted weapons system that was used on the F-14 or if that idea had been conceived of before but it's an interesting idea. Okay, here's the current concept which I actually drew yesterday (it's a small image which I scanned in today). I need to know if I've violated any copyright laws. Here's the RB-7A Phoenix drawn by Venom800TT. It's wings are similar to the F-101 Voodoo, especially in the way the sweep angle progressively reduces and the wing's chord progressively thins as you reach the tips. Much of the wing in my drawing was based on the J-30 though the outboard part of the wing is swept a little less more like the RB-7 Phoenix. The earlier VFX-WHIF designs (which were the product of my ideas as well as various members of this forum and the graphic artists who did most of the work drawing the concepts -- most notably Bladerunner and ElectrikBlue). I think this design has a good area ruling set-up too. 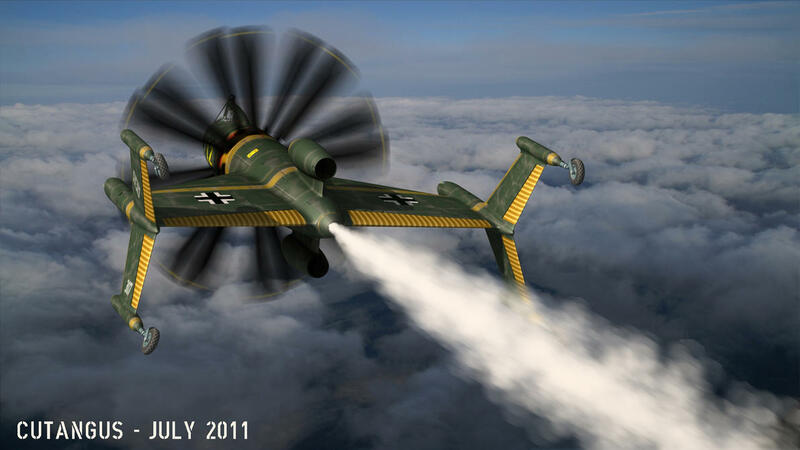 The wing design on the newest draft of my VFX WHIF was based mostly on this design, though the 50-degree leading-edge sweep had been adopted already. The change in sweep in the outboard wing section is a bit more like the RB-7A. Last Design: This design basically was similar to the last but featured a LERX based on the F/A-18E. This drawing was done by ElectrikBlue. 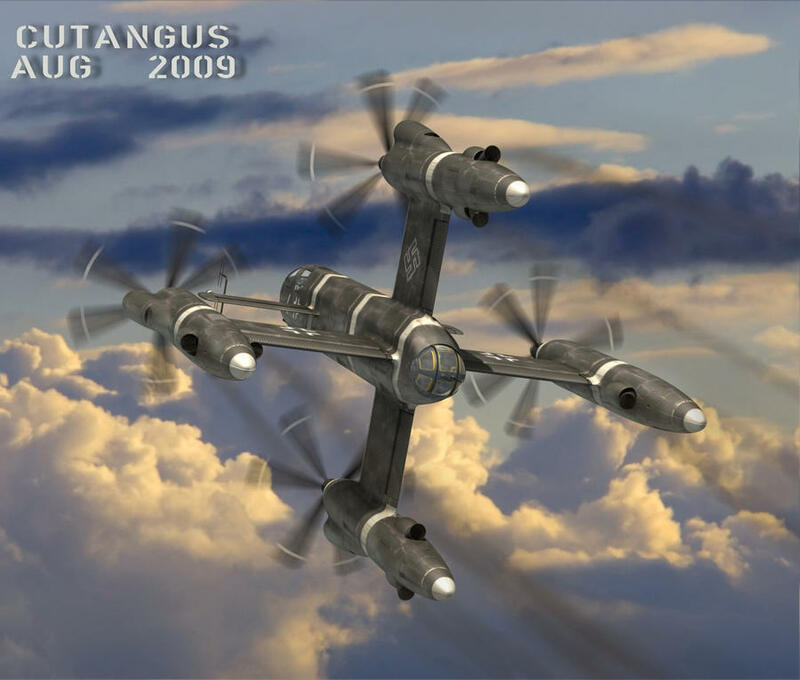 Later Design: This design was heavily inspired by Robert Beechy's fixed wing F-14. In one of the drawings, I drew over the baseline F-14 as a guide. Predictably this design was more inspired by the F-14. The second drawing was done by ElectrikBlue, who figured it would probably be best to reposition the wings aft a little bit to produce a realistic center of pressure with the center of gravity position. in my opinion you're clear. Copyright is about making a straight copy of a drawing, it doesn't cover copying a general idea. An armor guy, who builds airplanes almost exclusively, that he converts to space fighters-- all while admiring ship models. I agree with Hobbes. It's just a drawing that 'might' be similar, not even of the same design. Deutscher Meister 2011 & 2012 - BVB 09! Stuff by "Cutangus" found on deviantart. See the gallery HERE. Must, then, my projects bend to the iron yoke of a mechanical system? Is my soaring spirit to be chained down to the snail's pace of matter? Some brilliant stuff there Mortiz. Cutangus is truly my favorite guy on dA. Thanks for the reminder!! - My gallery at deviantART! nice !! lots of new stuff there since I last visited -- seems to be spread through the old stuff tho so have to search across all his pages. you may as well all give up -- the truth is much stranger than fiction. I'm not sick ... just a little unwell. Tells JMN's to "pull my finger"
Have been a regular browser of his pages, really like his 3D techniques and he's the one that really got me inspired to try photomanip's to display some of my models as flying or in a virtual diorama. 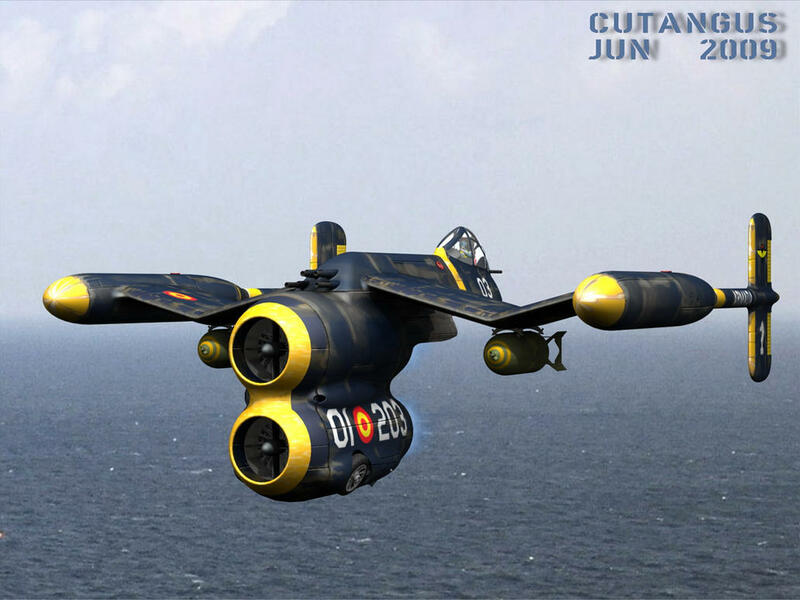 Also like the fact that his work is not just fanciful or genre stuff like steampunk- but there is some serious practical engineering and aerodynamics going on. Notice that a few of these have full internals and very workable arrangements. Also- a good cross section of air, armor, space and robotics. If he's not equipping video games with mecha'... he should be. Page created in 0.048 seconds with 19 queries.